It’s that time of the year again where we reflect on all of the things that we have accomplished and set goals for the next year to come. Most of us begin our year with the best intentions, especially when it comes to being fit and eating more healthy food which is the top New Year’s goal every single year. Unfortunately, only a few are able to ultimately achieve these goals. Here are five tips on setting a realistic fitness goal for the new year. 1. Recognize first what you need to change. The first step before doing and starting anything is to recognize what it is that you really need to change. Are you trying to lose or gain weight? Are you looking to achieve that six-pack ab? Or are you simply looking forward to eating healthy? Whatever you want to change your lifestyle, it is wise to know beforehand that it is what you really need to change. Most people set a goal without thinking that they don’t really need it, which is why they fail. They key here is to be very specific about what you really want and need. If you are planning to hit the gym, do not force yourself to do something that you are not ready to do yet. Start achieving small fitness goals and eventually keep the momentum going once you have established your routine. It is also important that you know which type of class you are going to enroll to so you will have a realistic approach to your fitness goals. 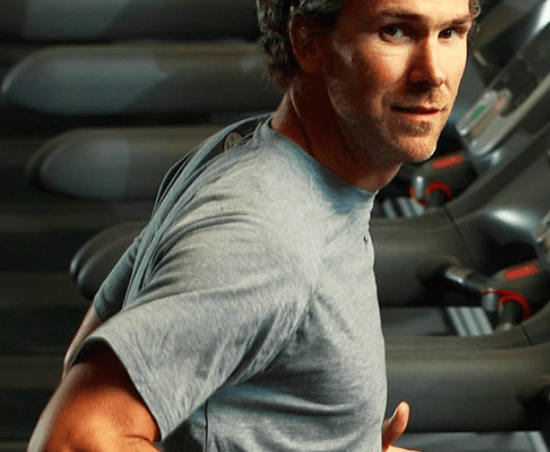 There are a lot of fitness clubs such as Trevor Linden Fitness who can help you achieve your fitness goals. One way of properly setting a realistic fitness goal is when you keep track of your progress. You don’t have to force yourself to do it every now and then, but you have to make sure that you know that you are on the right track. Write down what you eat and what physical activities you have done that day or week. That way, you will be motivated to continue achieving your fitness goals in the long run. 4. Switch to Plan B if Plan A doesn’t work. Change is inevitable. If your original fitness goal does not work for you, you can always change it along the way. You don’t have to force yourself doing something just because it was what you originally intended to do. The important thing is that you revise your goal to something better for your body. 5. Don’t forget to reward yourself. While we are waiting for our major reward at the end of the year, don’t forget to give yourself a pat on the back regularly for achieving your fitness goals slowly but surely. It feels great to acknowledge that we are doing everything we can to achieve our goals in baby steps. It does not have to be grand. A simple way of rewarding yourself every now and then goes a long way.